Ben van Berkel, founding partner with Caroline Bos, of the Dutch architectural design studio UNStudio, will present the office’s current projects within the context of the firm’s belief in constant experimentation through building. UNStudio (United Network Studio) has expanded its capabilities through prolonged collaboration with an extended network of international consultants, partners, and advisors across the globe. This network, combined with offices in Amsterdam and Shanghai, enables the firm to work throughout the world. With over seventy projects in Asia, Europe, and North America, the studio continues to expand its global presence with recent commissions in among others China, South-Korea, Taiwan, Italy, Germany, and the USA. The office has produced a wide range of work from public buildings, infrastructure, offices, residential, products, to urban masterplans. Pivotal UNStudio projects within these fields include; the New Mercedes-Benz museum in Stuttgart (2006), the large scale mixed-use project Raffles City in Hangzhou (2008 – 2012), the Galleria Department Store in Seoul (2005), the urban and architectural plan for 81 residential towers of I’Park City in Suwon, Korea (2007 – 2012), department store Star Place in Kaoshiung, Taiwan (2009), private family house VilLA NM in Upstate New York (2007), the Agora theatre in Lelystad, Netherlands (2007) and the Erasmus Bridge in Rotterdam (1996). Ben van Berkel studied architecture at the Rietveld Academy in Amsterdam and at the Architectural Association in London, receiving the AA Diploma with Honours in 1987. 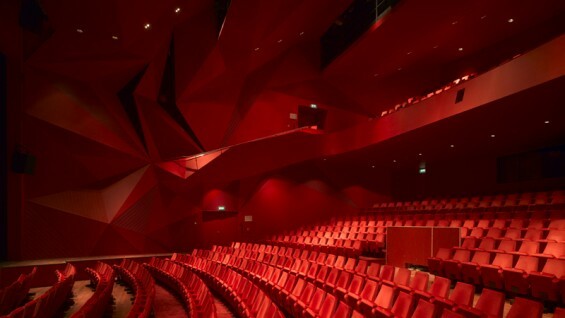 In 1988 he and Caroline Bos first set up an architectural practice, Van Berkel & Bos Architectuurbureau, in Amsterdam. In 1998 Ben van Berkel and Caroline Bos established the new firm, UNStudio. Ben van Berkel has lectured and taught at many architectural schools around the world. Currently he is Professor of Conceptual Design at the Staedelschule in Frankfurt am Main. Central to his teaching is the inclusive approach of architectural works integrating virtual and material organization and engineering constructions.